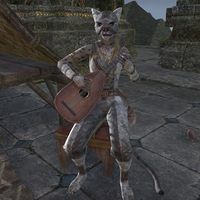 Abadusa is a Khajiit bard who can be found at the Temple of the Crescent Moons. She has no unique dialogue. This page was last modified on 2 February 2018, at 10:55.